In July, we launched our Bootiful Photo Competition over on Facebook. Since its launch we have seen some ‘bootiful’ entries snapped around the world. With just two weeks to go, we have an exciting announcement to make about our judging panel and even more prizes are up for grabs, too. 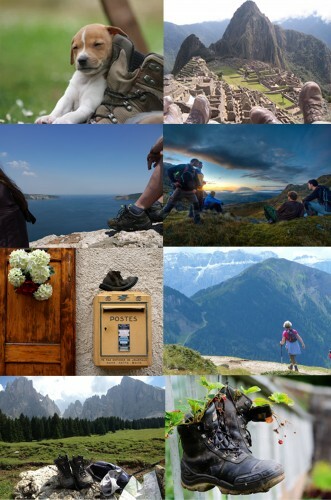 Back in July, we invited you to upload the photos that you have taken whilst out walking. You may have whipped up your camera whilst climbing a peak or maybe you captured a stunning sunset. No matter what you snapped or where, as long as the photograph contained a boot it was eligible for entry into our Bootiful Competition. We have some massive prizes up for grabs so it is no wonder that the competition has proven popular with travel bloggers, walkers and photographers alike. Today, we are proud to announce our judging panel: three highly regarded travel bloggers who are eager to judge the top 10 entries before awarding first, second and third prize to the worthy winners. As well as choosing the winners from the top 10 voted photos they each will also be choosing their own personal favourite photograph. The entrants whose photographs were chosen by the judges will each be rewarded with an extra special prize: a £50 Cotswold Voucher. The competition closes at 11pm on 8th September so there is still plenty of time to get your entries in. For more information and to enter, please visit our Facebook page here. Below you will find examples of some of the entries so far. Good Luck!